Why You Need a Mississippi Medical Malpractice Lawyer | Merkel & Cocke, P.A. To win a medical malpractice case, a patient must be able to prove that the health provider failed to provide a duty of care that a “reasonable and prudent” health provider would have provided. When doctors, hospitals, and other health providers fail to make a correct diagnosis, botch a surgery, fail to obtain an informed consent, fail to provide the right treatments, or make mistakes that cause harm – they should be held accountable for their lives they change. In death cases, the families of the patient have the right to file a wrongful death claim against the negligent health professionals. But even when you have plenty of documented proof of your injuries and the errors made by health professionals, a medical malpractice claim is not an easy one to win. The defendant (the person who caused your harm) will be fighting just as hard to prove he or she did not make a mistake, and the laws are strict about what a plaintiff’s attorney must do to prove a case. Expert witnesses. Most medical malpractice claims require that the plaintiff enlist the aid of health professional with comparable skills and experience. To hold a cardiologist liable, a medical malpractice lawyer will need to consult with other heart doctors. Holding an orthopedist liable for improper treatment of fractures and bone damage will require another orthopedist. To hold hospitals liable will require hospital professionals from other hospitals. In most medical malpractice cases, the ability to win the case depends on who the jury finds more persuasive – your doctors or the defendant. Complex terminology. 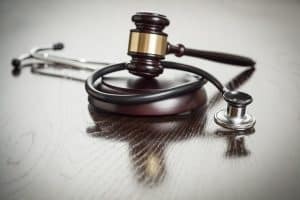 It is essential that the doctors who testify against the defendant doctors be able to explain medical concepts, standards, and errors in a way that a jury can understand. This often isn’t easy as many doctors speak their own language. They can easily get caught up in using complex medical terminology instead of words jury members can understand. Experienced defense lawyers. Many of the lawyers that hospitals and doctors use to defend them are highly skilled lawyers who have experience in many types of malpractice cases. The insurance companies will use the most aggressive and competent lawyers they can afford, and their resources are vast. That’s why you need an attorney with the resources to handle your claim. Physicians are less likely to settle than non-professionals. Physicians often fight any finding of negligence as hard as they can. Very few physicians are likely to admit they failed to follow standard medical procedures. Litigation is lengthy and expensive. In medical malpractice cases, both sides are likely to conduct extensive written and oral discovery which takes a lot of time. Expert witnesses want to get paid for their time. Since most doctors make a fairly good living, they are apt to charge thousands of dollars or even tens of thousands to review medical reports and to take the time to testify in court. Juries need a lot of persuasion. Many jurors understand doctors are human and can’t guarantee outcomes. If there is an obvious mistake such as operating on the wrong body part, a jury should be easily persuaded of liability. Most medical malpractice cases aren’t that clear-cut. Just because these claims are difficult, however, does not mean they are impossible. When you have an experienced Mississippi medical malpractice lawyer on your side, your chances will be better. The firm will put its own resources behind your case, so it won’t cost you any money. We also work with medical experts we have vetted and can trust, which helps us build a case. At Merkel & Cocke, P.A. we fight to get malpractice victims compensation for their pain and suffering, medical expenses including corrective surgeries, and lost wages. To schedule an appointment at our Jackson, Clarksdale, or Oxford office, please call us at 662-799-1633 or use our contact form. We represent victims and families throughout Mississippi, including in Tupelo and the Gulf Coast Region. We also work in Tennessee and Arkansas.